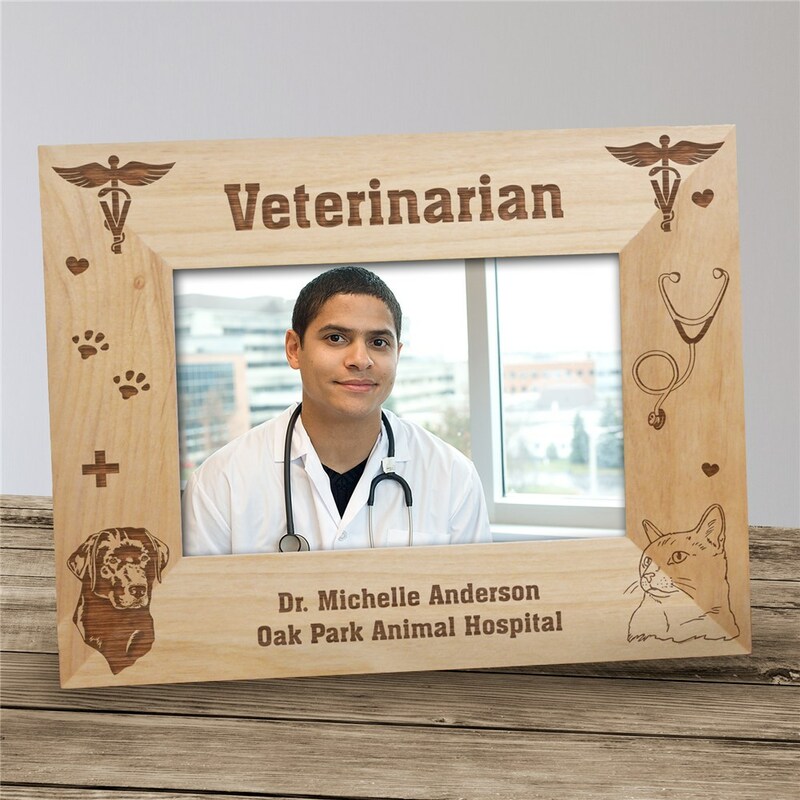 If taking care of animals and the well being of God's creatures is a passion then one of these Veterinarian Personalized Wood Picture Frames are an excellent Personalized Gift to showcase your dream job. Give your favorite Vet Personalized Wooden Picture Frames as a thoughtful thank you gift for always taking great care of your family pet. An Engraved Veterinarian Picture Frame also makes a perfect Personalized Graduation Gift from Veterinarian School. My dog just died and this was a thank you to her Vet who is the kindest and best Vet in the world...he came to my home at midnight to put her down! I wanted to give him a keepsake from Allie (pet) to thank him for taking the best care of her for 14 years and letting her go peacefully in my arms at home the night she died. He and everyone I showed your frame to were touched and in awe. Thank you so much....beautiful work! GiftsForYouNow.com has many additional Pet Lover Gifts suitable for family, friends, veterinarians and vet assistants. Shop GiftsForYouNow.com for all your Personalized Pet Gifts.